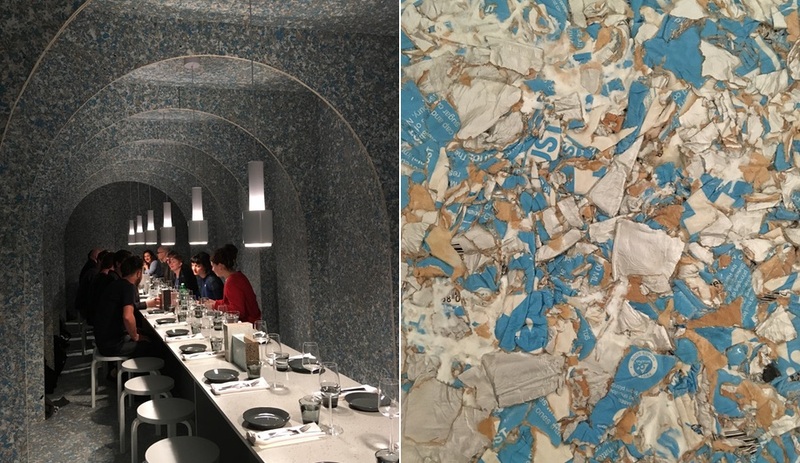 At WantedDesign during NYCxDesign, the Zero Waste Bistro showed how good design is a big part of the circular economy. 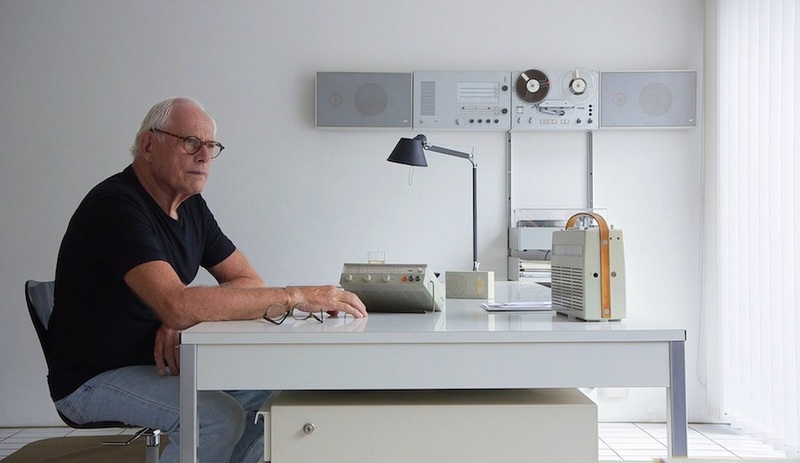 It was like entering the nave of a tiny, minimalist, Scandinavian church. 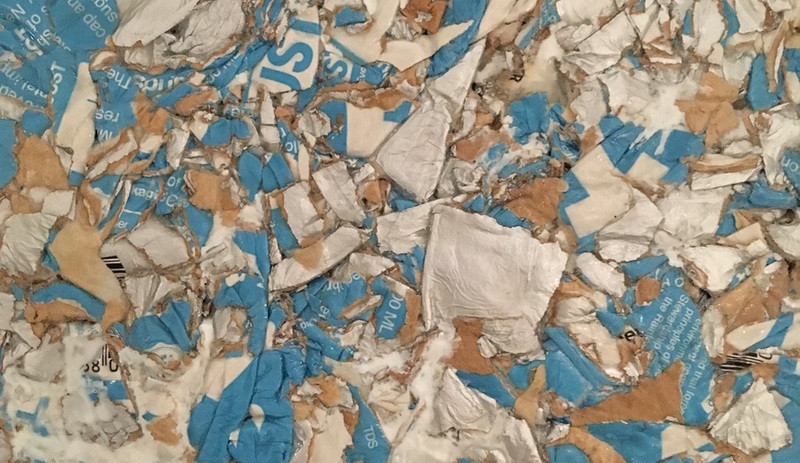 Dozens of designers, journalists, and show-goers would squeeze into the Zero Waste Bistro in a state of awed enchantment in intervals throughout the weekend. 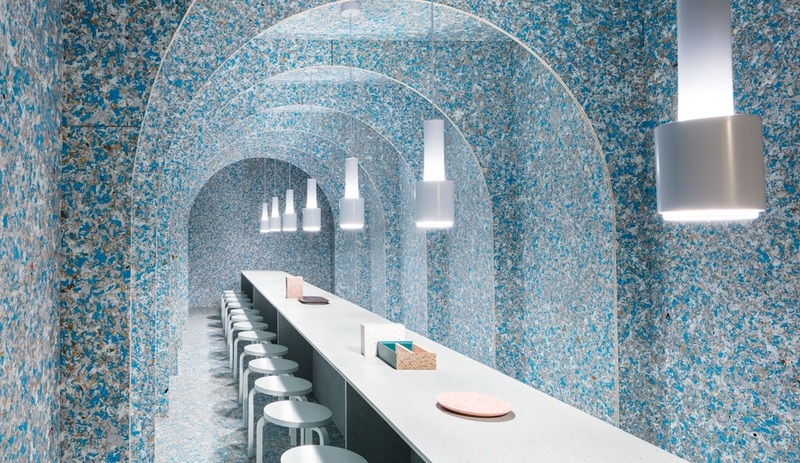 A series of arches made of ReWall – Tetra Paks crushed to create a marbled blue-and-white material – generated a narrow, linear nook inside the iconic Terminal Stores venue of WantedDesign Manhattan. 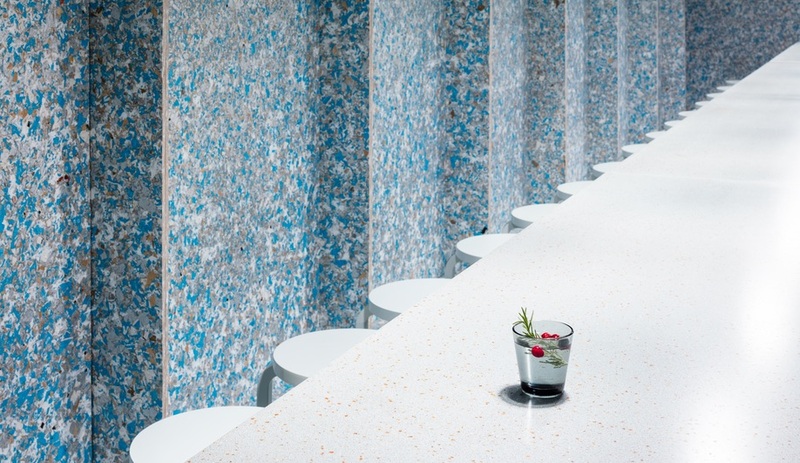 Stretching the length of the space, a table made of Durat, a speckled solid surface that incorporates recycled plastic and is itself recyclable, complemented the walls. 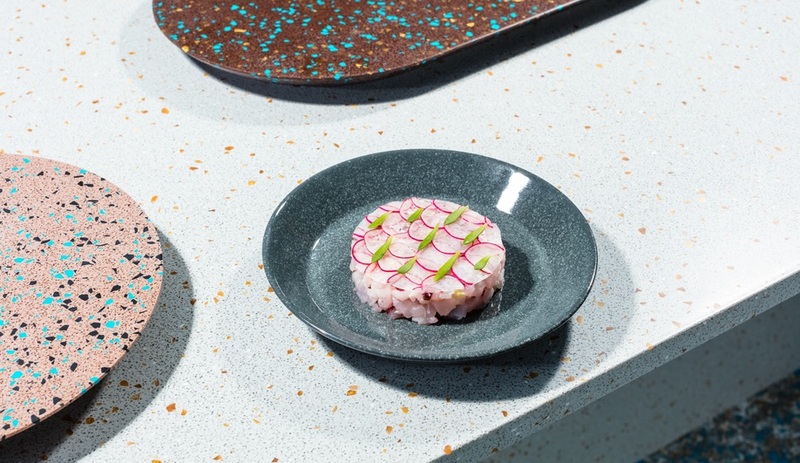 It was also the perfect canvas and backdrop for tableware by iitala and furniture by Artek, including pendant lights and stools by Alvar Aalto and the timeless Teema porcelain collection by Kaj Franck – all of these items supplied by Finnish Design Shop. 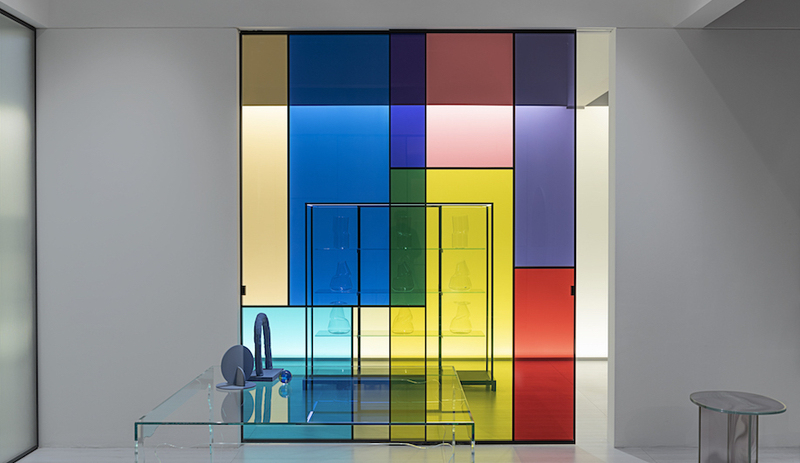 The setting was co-curated by Linda Bergroth and Harri Koskinen, and designed by Bergroth. 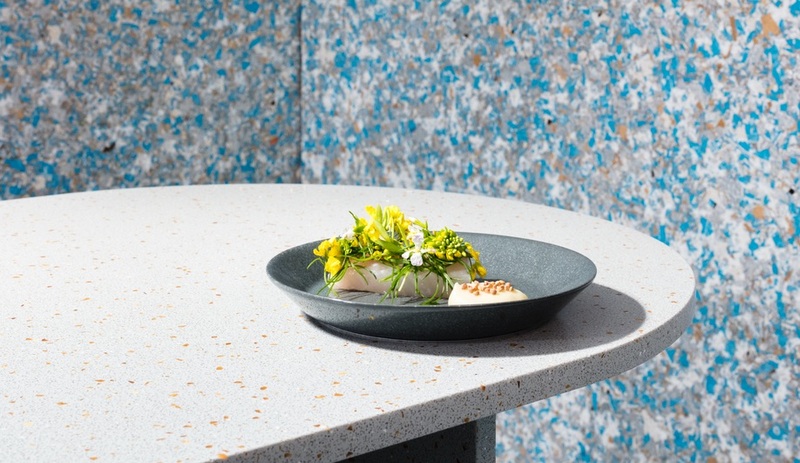 She also created the vases that many of us in attendance salivated over almost as much as the menu of black sea bass, oyster mushrooms and other locally sourced dishes. 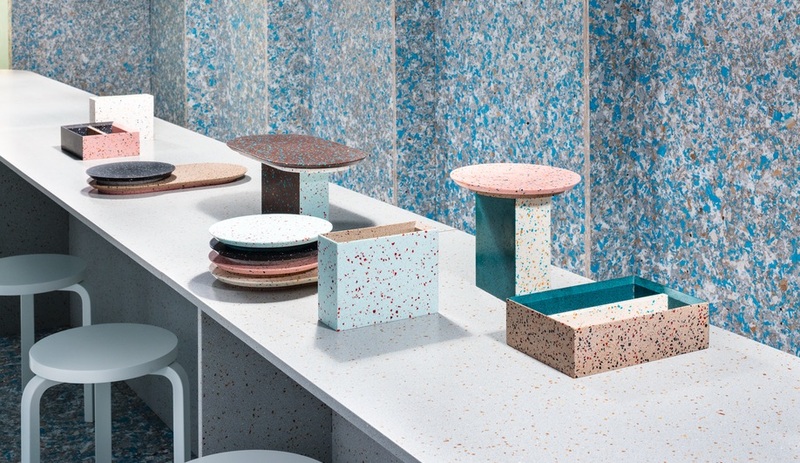 While only in prototype stage, the vessels are made of the same Durat surfacing as the table, with each side in a different colour for a patchwork effect. 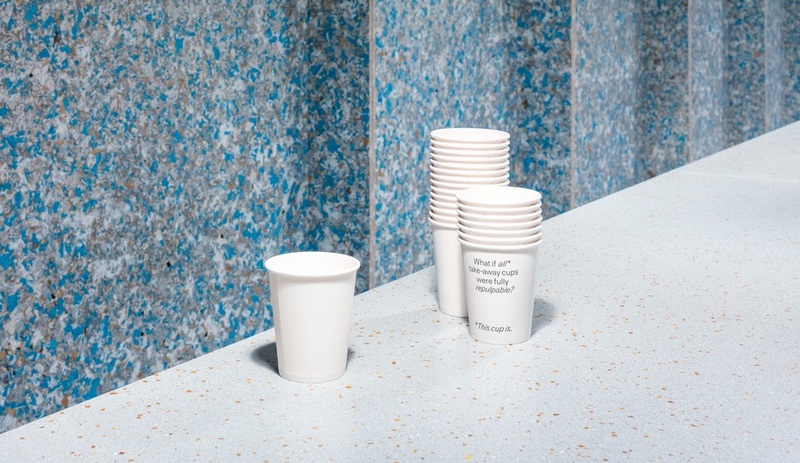 Among the installation’s other sustainable measures: Kotkamills provided the take-away coffee cups, made with their own eco-alternative ISLA Duo barrier board; and Sulapac supplied its jewel box–like food containers, made of wood from Finland’s sustainably managed forests. 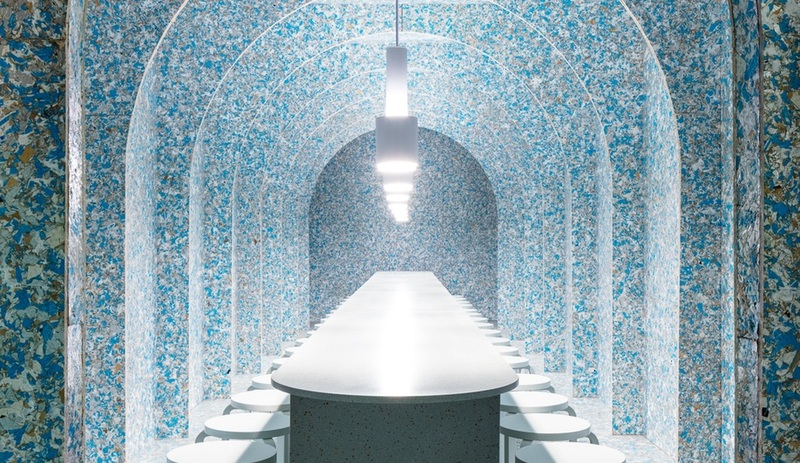 All of these details, big and small, added up to one of the most special experiences of NYCxDesign. 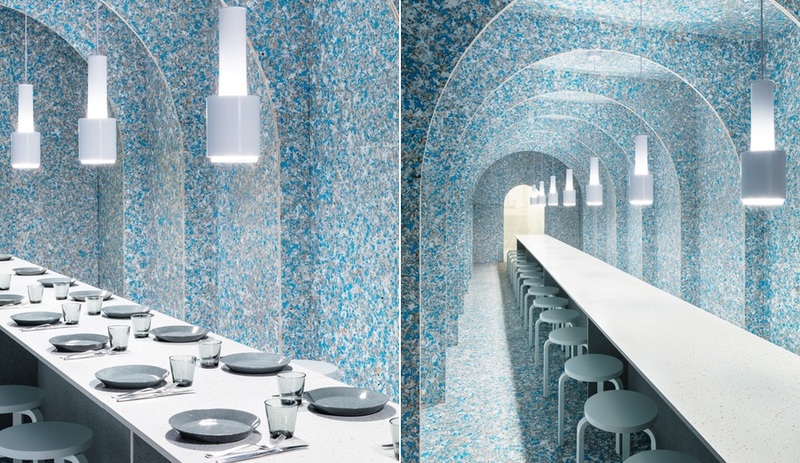 The Zero Waste Bistro elegantly demonstrated the integral role of design in devising a sustainable environment, where food, furniture, product and interior curation are all equally considered. 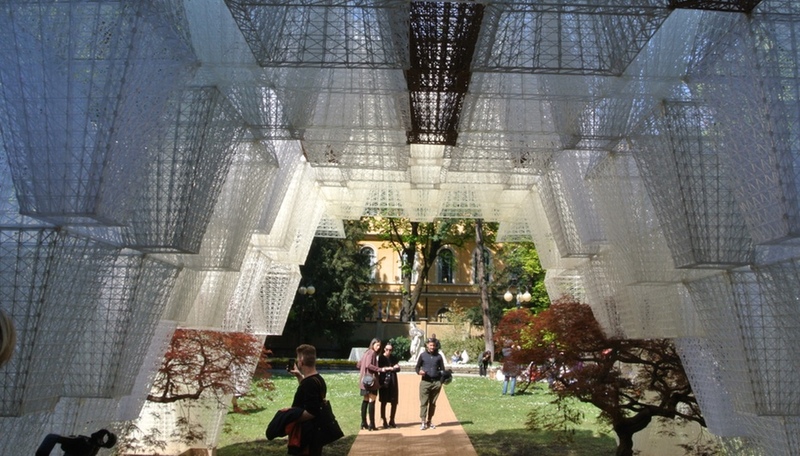 Hopefully, the installation will come to represent human-centred design for a more conscientious generation of creators. That would be heavenly indeed.